Do you need a fun way for students to practice solving proportions with minimal prep? The Integer Proportions Scavenger Hunt Game gets students up and moving around while practicing math. 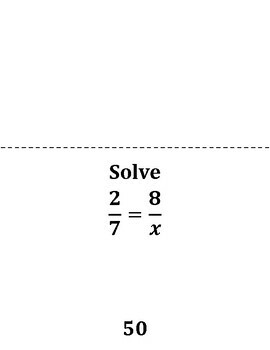 In this game, students use the answer to one problem to find another problem hanging around the classroom. Students will complete a total of 16 problems to create a list of presidents. 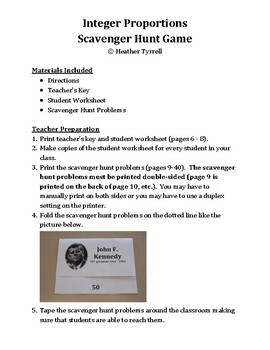 This product is self-checking and allows a teacher to work one-on-one with students while the rest of the class is engaged in the scavenger hunt. My students love seeing scavenger hunts on the agenda. This product comes with the student worksheet, scavenger hunt problems, instructions, and teacher’s key. 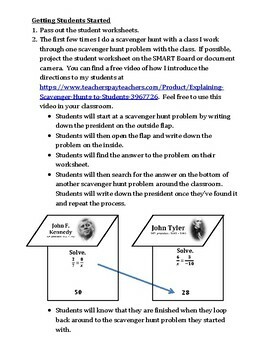 You can find a free video showing how I introduce a scavenger hunt to my students. Feel free to use this video in your classroom or use it to prepare your lesson. 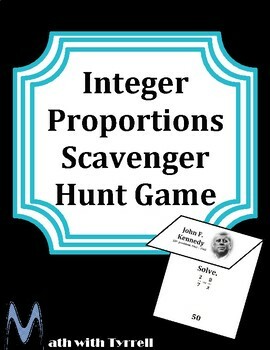 The proportions included in this scavenger hunt deal with integers only. This product is also included in the Middle School Scavenger Hunt Bundle.